The villa is set on 2 floors. 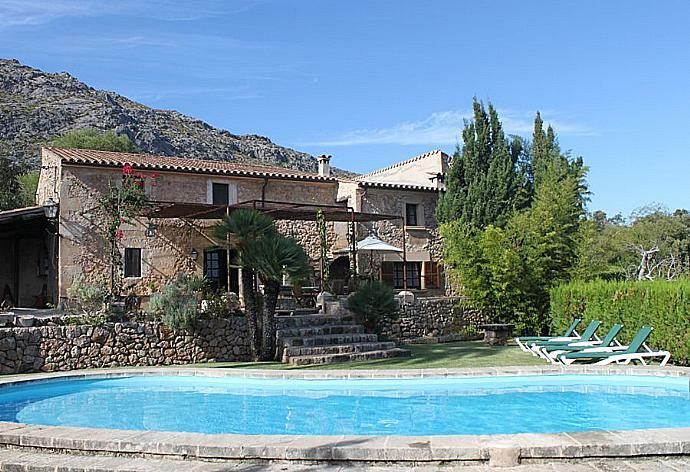 Entrance is via the upper floor through a beautiful furnished terrace offering unobstructed views to the Pollensa valley. Kitchen, living room and shower room. Terrace. On the ground floor there are 3 air conditioned bedrooms (1 double and 2 twins) and a further family shower room. Villa Colonya can sleep up to 6 people. 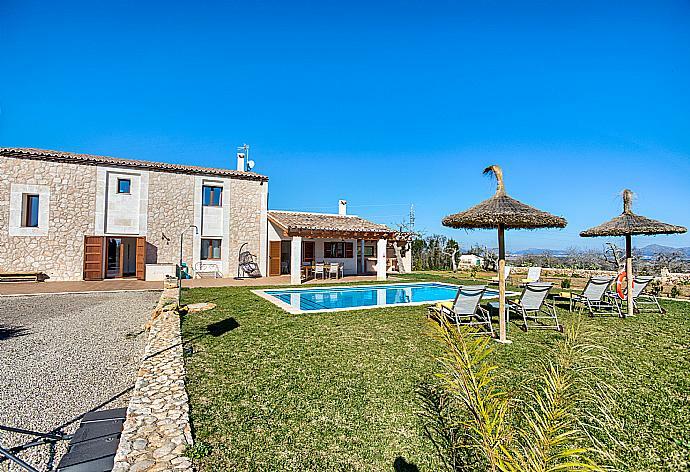 Villa Colonya has a large, kidney-shaped, private pool set in extensive private grounds. The pool offer total privacy and is equipped with sunbeds and shades. 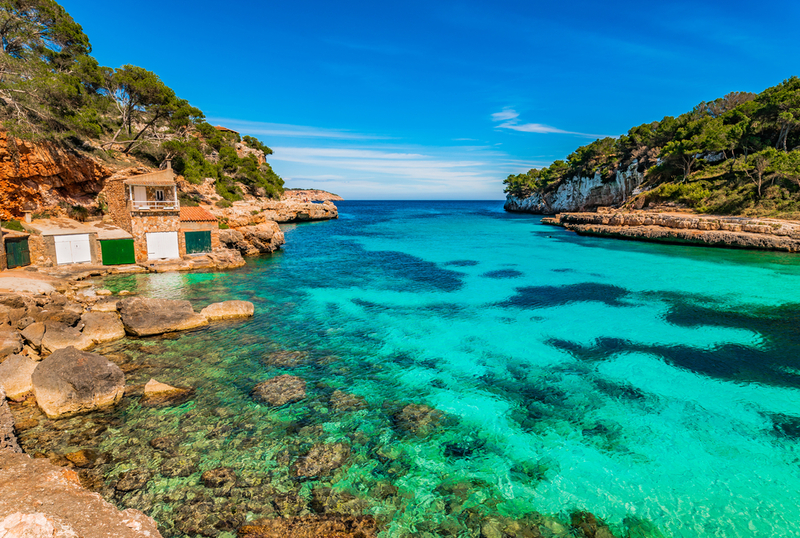 There are beautiful views over the valley as well as the mountains of Sierra de Tramuntana. A shaded poolside gazebo, furnished with table, chairs and sofa is provided for a relaxing drink or al-fresco dining. We enjoyed our stay the outside area is excellent. We had a very good holiday, many thanks to Agni for the arrangements. 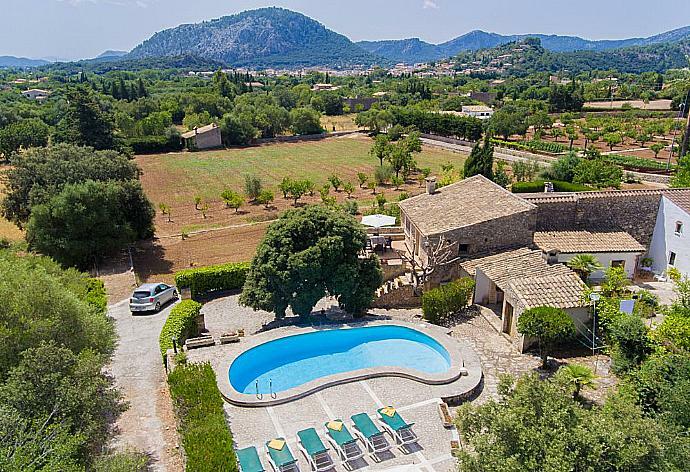 Lovely villa in a really good place - peaceful and secluded, yet easily able to access roads to get to other parts of the island and with Pollensa old town near enough for meals out and shopping. Wonderful location, overall a great place to stay. A very nice house and pool area. A very beautiful villa with everything we wanted. The Pool area is awsome! We spent five wonderful days in Colonya. 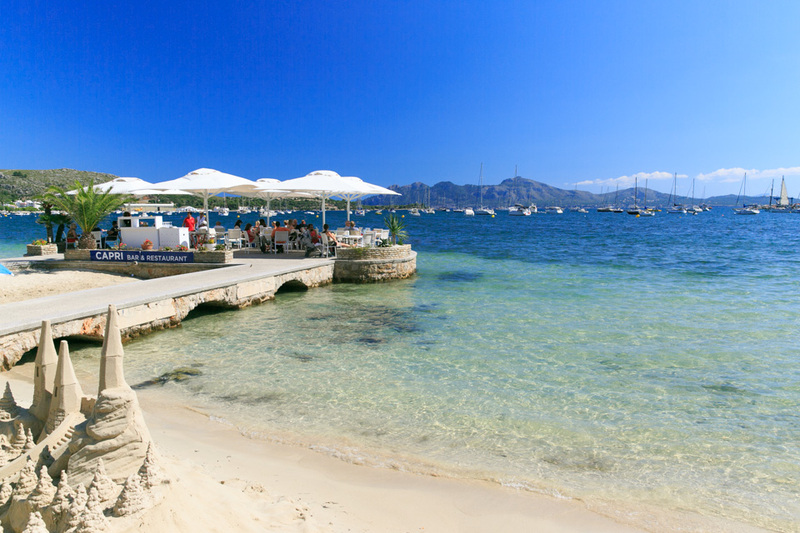 The perfect location just outside Pollensa and an excellent base for exploring this part of Majorca. Highly recommended. Excellent service from the Agni Team. Loved it, loved it, loved it! Colonya is just fantastic. 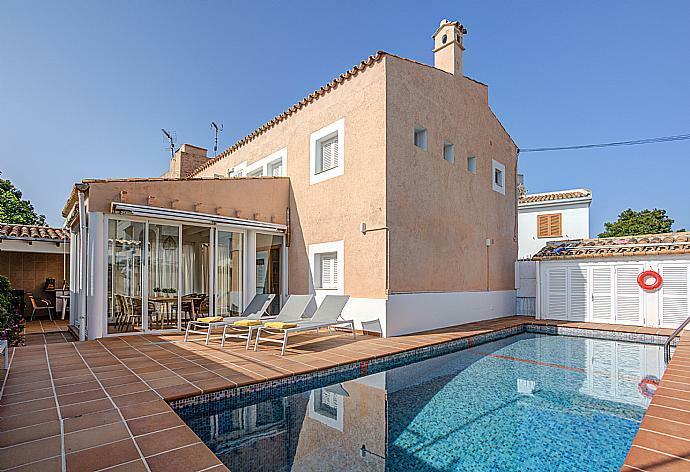 The terrace catches the sun just right, the kidney bean pool was clean and refreshing, the kitchen was so pretty and even though its new had still kept its spanish style, even the little sink next to the barbecue was so useful. Thank you guys so much for helping us book, helping us find it and checking up on us whilst we were there. Thank you Agni Travel for a lovely holiday. The villa was great and the locals are lovely. We had a great time and would love to think we will return.